↑ John G. Holt; Noel R. Krieg; Peter H.A. Sneath; James T. Staley; Stanley T. Williams (1994). 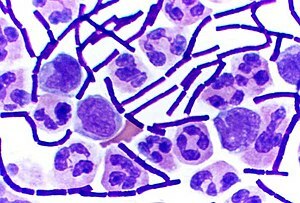 Bergey's Manual of Determinative Bacteriology (9th ed.). Lippincott Williams & Wilkins. p. 11. ISBN 0-683-00603-7.